Welcome to the AYSO Region 122 Post Season/Tournament Team Season. 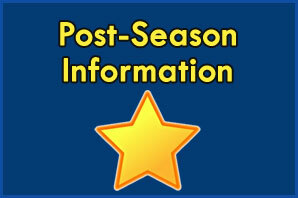 We are pleased to consider your child for Post Season/Tournament Team play. As you may already know, participation is an honor and privilege, not an entitlement. Along with the honor and privilege of Tournament Team selection come responsibilities and commitments. In order to enable you to make a fully informed decision to proceed, this document provides some basic information about Post Season play and describes the nature of the commitments that are expected from the players and their families. In addition, we ask that you complete a very basic questionnaire to assist us in the selection process. For more information you may contact your Division Administrator. the participating players, as are the costs of any optional equipment such as backpacks, jackets, or sweatshirts. Many teams will decide to travel to a tournament far enough away (eg, San Diego) to require overnight accommodations. In such circumstances, the financial strain is often softened by pooled rides or parental chaperoning so that not all parents need to travel. Tournaments typically involve 2 games on Saturday and 1-2 games on Sunday. The great majority is within an hour’s drive, allowing for Saturday and Sunday morning travel, though often with very early departures. Select teams have an identical format, except they do not play in the Area All Star tournament in January. ineligible to play on a Select team, or to play for any Post Season team for any purpose during the entire Post Season. To make AYSO soccer your first priority over other sports and other ongoing weekend/afterschool activities from the beginning to the end of Post Season play. To attend in a timely manner team practices (usually 2/week) and tournaments. To make the required deposit of the estimated tournament fee expenses for the entire post season, prior to the start of tournament play. To volunteer to referee in tournaments in the event that you (the parent) are certified referees. To otherwise volunteer as requested by the coach in support of the team players, coach, and Region 122. To volunteer as Field Monitors, at the Volunteer Tent, or otherwise as needed, at the SB Splash Tournament in June. To conduct yourself appropriately at all times at all tournaments, with the knowledge that you are representing not only your team but also Region 122. This conduct includes, but is not limited to, being courteous to the referees at all times; being courteous to the opposing teams’ players, coaches and parents at all times; complying with all tournament rules. To comply with the game related directions of the team’s Coach, including but not limited to, what position(s) to play, what quarters to play, and what strategies and tactics to use. To be respectful of the Coach’s decisions regarding positions, strategy, practice, and other aspects of Post Season play.